Scaling demand of chocolates, confectionaries, filing, spreads, ice creams and infant food products is pushing the market demand. Rising awareness regarding health hazards caused by intake of saturated fats is again fueling the market growth. The shift in preference towards healthy lifestyle to reduce body cholesterol and by switching to nutritive and healthier alternatives is again contributing the market growth. 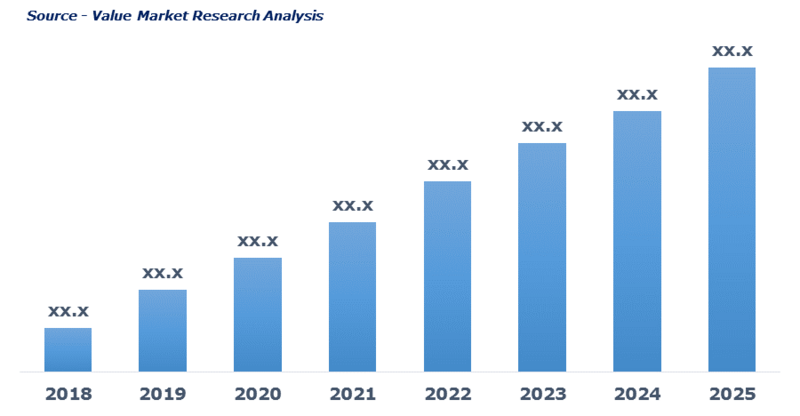 An inclination of major manufacturers of food and beverage industry towards value-added ingredients is expected to boost the market growth. Expanding retail sector coupled with the high demand of fried food is further expected to upsurge the market growth. The latest report by Value Market Research expects the Global Specialty Oil and Fats Market to reach USD 29.8 billion by 2025. It was valued USD 19.2 billion in 2018. The report foresees a 6.5% CAGR from 2019 to 2025. In 2018, Palm oil dominated the specialty oil product segment. Palm oil offers various health benefits such as improve vision, reduce the risk of cancer and cardiovascular diseases, provide antioxidants, and vitamin K is driving the demand. Moreover, rising adoption in preparation of chocolates and confectioneries owing to neutral taste and flavor enhancing properties is boosting the segment growth. Bakery fats have emerged as the leading specialty fats by accounting major market share in 2018. Use of bakery fats to improve texture, taste, richness and flakiness to the bread, biscuits, pastries and other products is driving the segment growth. Also, the advantages of using bakery fats are it provides better profitability and health benefits over other fats are again pushing the segment growth upwards. By application, Industry has gained major market share in 2018. Rising demand for specialty fats and oils from food and beverage industry for the production of confectioneries, infant foods, bakery products, processed food is driving the segment growth. In 2018, chocolate has dominated the end-user segment. The rising popularity of chocolate among children and adults owing to its exotic flavor is driving the segment market. Owing to a stress reliever with moderate nutritional contents, dark chocolate is gaining demand from functional food products. This is again contributing in the segment growth. Geographically, Asia Pacific dominated the market owing to the rapid proliferation of bakery, confectionery, cosmetics, dairy, food processing, and other sectors. Rise in disposable income, changing dietary habits, and increase in middle-class population has contributed in the growth of Asia Pacific specialty fats and oil market. AAK AB, Bunge, Cargill, D&L Industries, Fuji Oil, International Foodstuff Company Limited (IFFCO), IoI Group, Manildra Group, Mewah International, Musim Mas, The Nisshin Oillio Group and Wilmar International are some of the major players ruling the specialty fats and oil market. As per this study, the Global Specialty Fats And Oils Market was valued USD 19.2 BN (by revenue) in 2018 and is anticipated to reach USD 29.8 BN by 2025 with a CAGR of 6.5%. Specialty fats are the special type of vegetable fats used to prepare chocolates, pastry filling, and confectionaries. These are a healthy alternative to cocoa butter and milk fats, thus used in cosmetic, bakery, and infant nutrition. Whereas, specialty oil is a type of edible oil used for cooking purpose.